Ibrahim Investment Corporation has a network of 29 Jack in the Box restaurants in Texas, which offers a variety of quality meal options for the on-to-go customer. 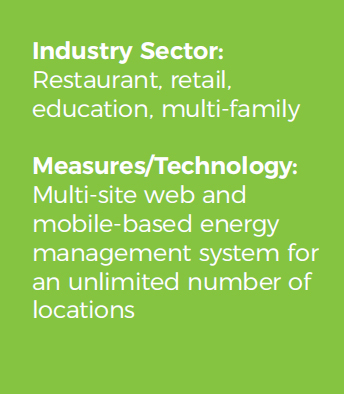 The franchisee was interested to find a better way to manage the temperature at their restaurants, minimize inventory loss, and save money while providing a comfortable environment for customers and employees. Complaints were received from employees across their locations about uncomfortable temperatures, food spoilage in freezers and expensive HVAC services. Also, it was difficult to monitor the temperature inside of freezers and be alerted if the temperature deviated from an ideal range. With the old thermostats, HVAC service technicians were frequently called in to change simple settings. This was both costly and time consuming. 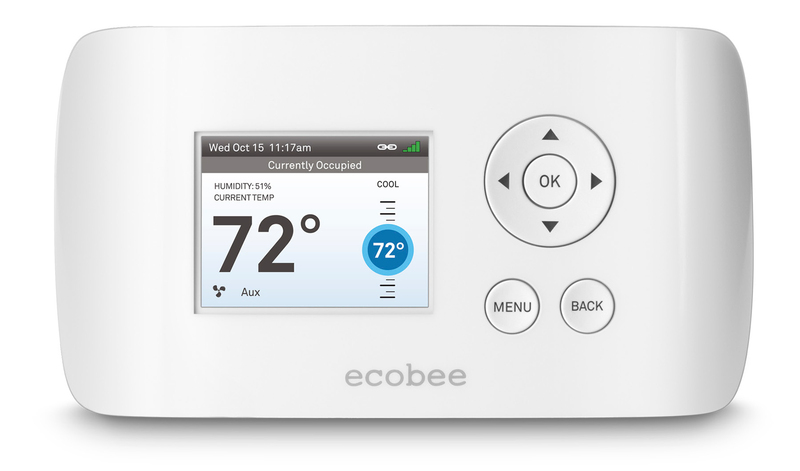 The franchisee piloted the ecobee EMS Si thermostat at a few of their restaurants. 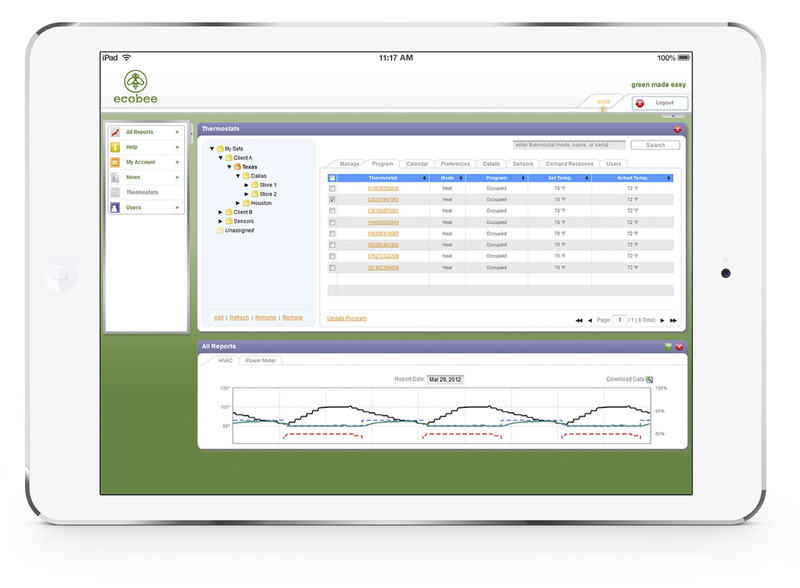 After a 6-month trial period, they realized there are other benefits to installing the ecobee EMS Si thermostat which included: flexibility of managing multiple thermostats and ease of setting temperatures remotely from single web portal or mobile app, remote monitoring of temperatures inside freezers, receiving alerts, remote diagnostics, reporting capabilities and more. 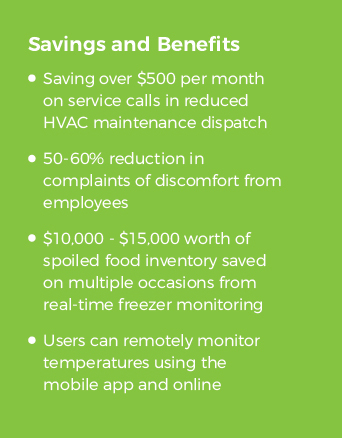 The franchisee was able to avoid significant loss of perishable food by setting up alerts for when temperature setting inside of freezers deviated from an ideal range, estimating that it was able to save $10,000 - $15,000 worth of inventory on several occasions by preventing drastic temperature changes in freezers. Designated employees and office managers can easily regulate temperatures remotely via ecobee mobile app and online portal upon receiving alert notifications. "The ecobee installation was a fast and straightforward process. The smart thermostat and the option to adjust temperature from the app or online has helped to save time"
– Sheila, Office Manager, Ibrahim Investment Corp. The ecobee EMS Si remote diagnostics and reporting tools helped the franchisee improve management of HVAC equipment, which lead to a reduction in administrative and HVAC service expenses. Prior to the installation of ecobee EMS Si, office staff would dispatch technicians to resolve simple issues (such as changing temperature settings), which was costly and time consuming. 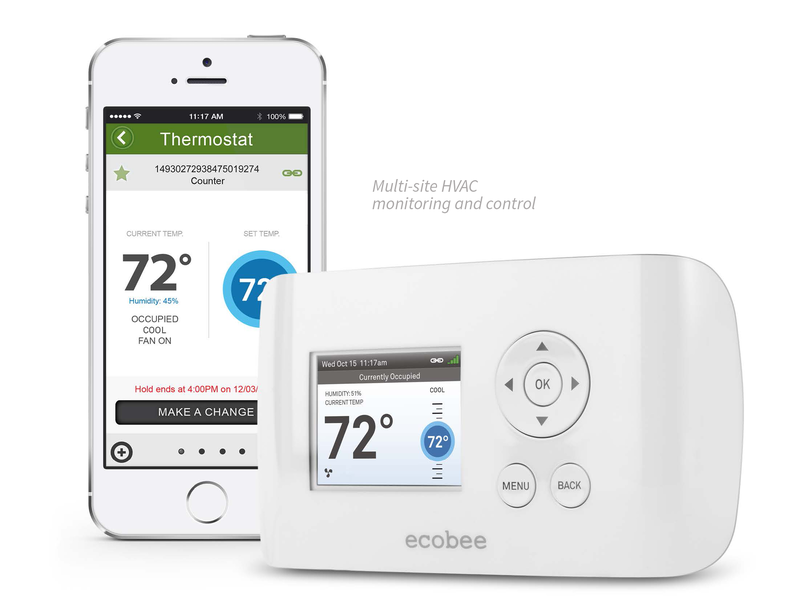 With ecobee EMS Si, they are able to monitor and adjust temperature remotely. The ecobee EMS Si is a cost effective energy management system allowing you to monitor, optimize and control your commercial building’s HVAC systems at a fraction of the price of a Building Automation System (BAS) that can pay for itself in less than one year.